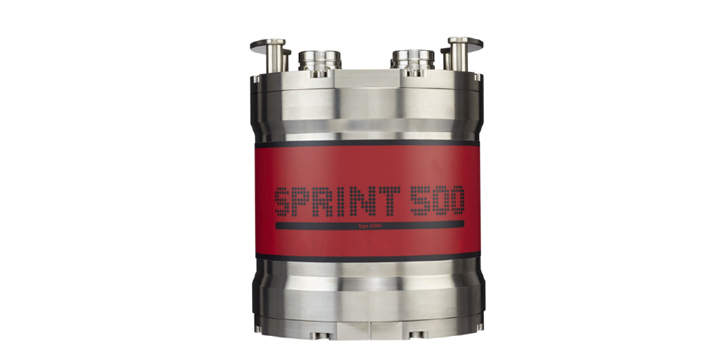 SPRINT is an acoustically aided Subsea Inertial Navigation system for subsea vehicles. SPRINT makes optimal use of acoustic aiding data from acoustic USBL and LBL positioning and other sensors such as Doppler Velocity Log (DVL) and pressure sensors. This improves position accuracy, precision, reliability and integrity while reducing operational time and vessel costs. The system extends the operating limits of Ultra-Short BaseLine (USBL) and can dramatically improve the operational efficiency of Long BaseLine (LBL). The new third generation SPRINT unit offers power pass-through to aiding sensors, reducing cabling and interfacing complexity. Inertial navigation is inherently self-contained, robust with very good short term accuracy but can drift over time. Therefore the INS is aided with complementary acoustic positioning to provide long term accuracy and robustness. The additional integrity offered by inertial integration significantly reduces operational delays during periods of challenging subsea acoustic conditions such as aeration and noise. The precision and update rate of the output allows greater subsea vehicle control and is suitable for ROV station keeping. USBL aiding is vendor independent using a standard, absolute USBL position message. It can be further optimised with integration to a Sonardyne Marksman LUSBL or Ranger 2 USBL system. Alternatively, tightly coupled LBL aiding from Fusion 6G can be used with either full or sparse (2 to 3 beacon) arrays. LBL observations are optimally time stamped and the rich quality statistics provided with Wideband 2 are used to provide optimal aiding. SPRINT does not need to be physically co-located with the Doppler Velocity Log. Misalignments are calculated in the field using a freely available calibration utility. This approach allows for more flexible mounting configurations to be considered. A ZUPT (zero velocity) aiding feature is available to provide exceptionally precise positioning during static fixes even if external aiding such as DVL has been lost (e.g. loss of bottom lock). The SPRINT installed on the subsea vehicle is interfaced using a single serial or Ethernet connection through the vehicle’s umbilical. The SPRINT acts as a subsea multiplexer for it’s own data and all subsea aiding data. Each SPRINT unit is supplied with software to allow easy configuration, monitoring, communications routing and logging. SPRINT can also be provided with a communications hub providing multiple serial/Ethernet ports for input and output. Lodestar 500 AHRS A survey grade, proven AHRS with 0.1° Sec Lat Heading available after 5 minutes of settling time. Common with all Lodestar/ SPRINT units, Lodestar 500 is re-calibration free and has an internal battery allowing continuous operation during loss of power for short periods SPRINT 500 INS Supports tightly integrated sparse LBL range aiding from Sonardyne 6G beacons, which have demonstrated cost savings in field operations since 2012. Perfectly suited to demanding multibeam survey operations with automatic, proven pressure and swell compensation. SPRINT 700 is one of the highest performance INS systems available under dual use export control. With tight integration to Sonardyne acoustics, it supports the most demanding subsea survey tasks such as mobile laser mapping and acoustic inertial metrology.